After rebounding by about 95% from its February lows, crude oil has plateaued. And that has folks wondering what could be next for the commodity. 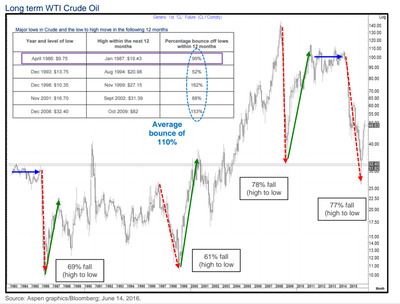 Notably, in a recent note to clients, a Citi team led by Tom Fitzpatrick argued that analysts can look at previous times when oil dipped significantly to see if there might be any overlaps. 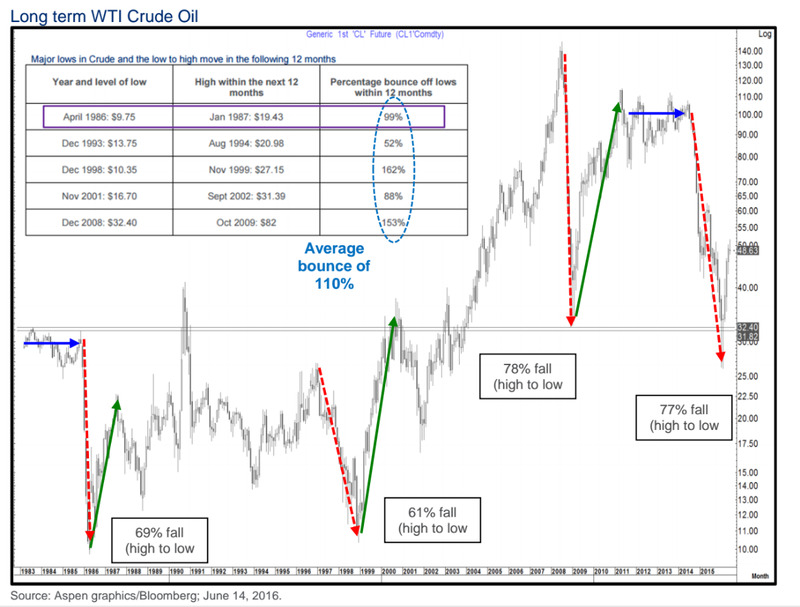 1986-1987 — when WTI crude plunged after a huge supply glut. At the time, Saudi Arabia pumped up production in order to maintain/gain market share. 1996-1999 — when the Asian Financial Crisis slashed demand. 2008-2009 — when the Global Financial Crisis decreased demand and led to a huge global economic slowdown. “The most recent oil collapse has similarities to these three historical periods … however, the important question now is which recovery will this be most like, if any?” the team wrote. Notably, the 2008-2009 slowdown can be crossed off the list immediately. However, there are some similarities between the other two. As the team writes, the 1996-1999 time has some macro parallels with today, including, but not limited to the five to six year dollar strength, the Fed’s tightening of monetary policy while the ECB is easing, and a massive sell-off in local market currencies. However, strictly looking at the oil market dynamics, there are some similarities with 1985-1987, which was also driven by a huge supply glut. none of these scenarios predict what will happen with oil today. After all, technical analysis is more of an art than a science, and it is extremely difficult for investors and economists to forecast what will happen in the future — especially when there are so many variables involved. But still, it’s interesting to point out that oil’s recent behaviour is not without precedent. And to wonder what that may indicate (if anything) about its trajectory.